This Bronze Age site comprises of three large standing stones, it is thought originally there were as many as five stones in this alignment. Being Bronze Age little is known about the origin of the Devil’s Arrows, the name reflecting a more recent myth. The monument is strongly linked with an alignment withseveral others covering a line of over 50 miles and heading north south through North Yorkshire. The site itself, being just off the A1 has been an important communications route for several thousand years and it is likely that in the Iron age the Brigantes adopted this as a centre for religious or tribal gatherings. It’s importance is further indicated by the creation of the tribal capital of Isurium Brigantium in c. 120AD less than three miles away at Aldborough. Research so far has been limited to a site visit and scans for document records. In the Brigantium context it is likely that this site, together with the triple henge alignment and cursus of Thornborough some 8-10 miles to the north of the Arrows formed one of the most significant religious and tribla gathering point in Brigantia. Grid Ref: SE391665, Latitude: 54.092736, Longitude: -1.402114. Three naturally shaped stones in an alignment thought to have originally included up to five stones. These are almost in a straight line, pointing north to south. The outer stones are 200 and 370ft away from the central stone. Access to these is relatively simple, they are just off the side of an elevated section of the A1(M) trunk road at Jct 48 to Boroughbridge. 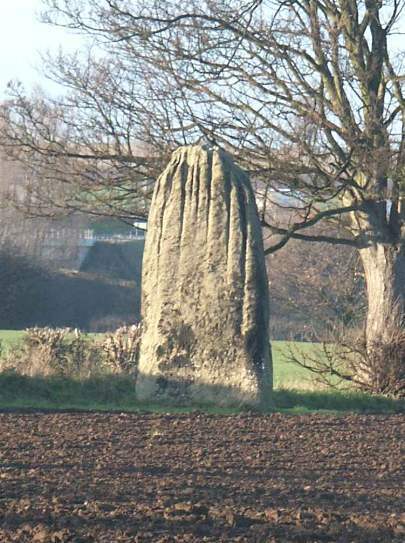 The stones have heights of 18ft (northern stone), and 22ft. They are of millstone grit which was quarried at Knaresborough, 6.5 miles to the SW. The grooving is the result of weathering. The Devils Arrows are the centre of the most important alignment of standing stones, henges and other remains in Yorkshire, all running N/S alongside the ancient line of the A1, Stretching from Hutton Moor to Thornborough and beyond. Current estimates indicate they were erected during the Bronze Age c. 2,200 – 1,400 BC. Left, central stone and northern stone, right. But obviously his aim was not that good, and so they landed short of their mark. 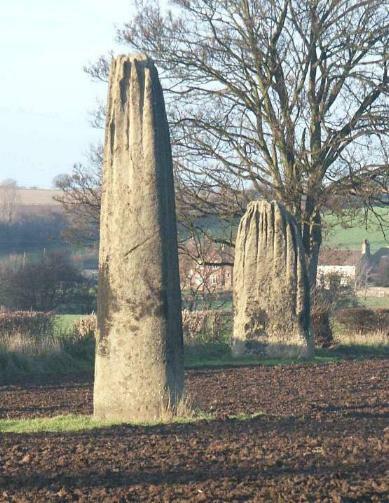 At their maximum of 22 feet in height, The Devil’s Arrows are the tallest standing stones in the United Kingdom apart from the Rudston Monolith. 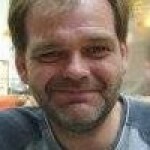 In Leland’s time there were four, but in the seventeenth century, one of them was pulled down; the remaining ones are placed at unequal distances from each other. The tallest one is 30 feet 6 inches from the bottom, about 6 feet of which are buried in the ground; its greatest circumference 16 feet. Richard Frank, a singular traveller, and famous peripatetic angler, in his tour to the northern parts of Scotland, to enjoy his favourite amusement, which he published in 1694, says that he saw near Boroughbridge, seven of these stones, in which he must have been mistaken, as it is not likely that they have increased since the days of Leland. Evident marks of the chisel appear below the surface of the earth. 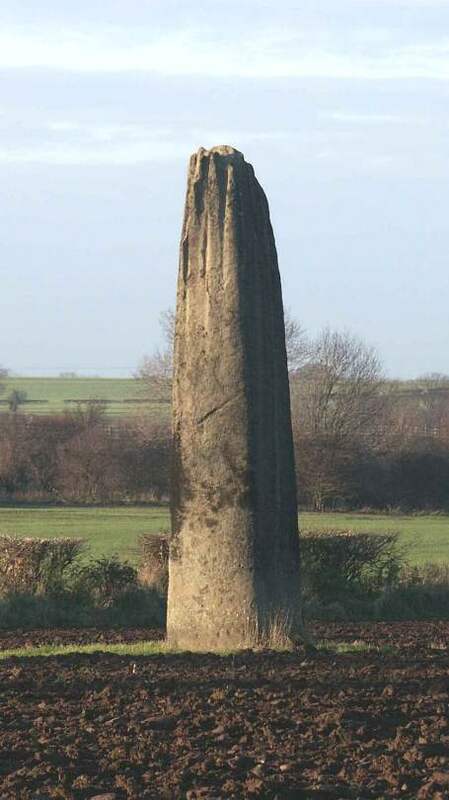 It is of the common coarse rag stone or mill grit; a large rock of this stone from which, probably these obelisks were taken, is at Plumpton, near Knaresborough. Doctor Stillingfleet considers them as British Deities: Leland, Camden, and Drake, suppose them to have been the work of the Romans, and erected by that people as trophies, to commemorate some important victory. Near this place, in 1322, that unfortunate Prince, Thomas Earl of Lancaster, with some of the nobility, disgusted with the royal favourites, the Spencers, made stand against the forces of his nephew, Edward II. but was taken by Sir Andrew de Harcla, who, being insensible to entreaties and solicitations, and after suffering every possible indignity that cruelty could suggest, was mounted on a sorry horse, and brought before the King, who ordered, without any form of trial, his head to be struck off, on an eminence near Pontefract. One of his partisans, the powerful John de Bohun, Earl of Hereford, in passing over the bridge, then made of wood, was run through with a spear, by a soldier, cowardly placed beneath for that execrable purpose. It sends two Members to Parliament, a privilege it derived from Queen Mary in 1553.